After successfully launching the optoCONTROL 2520 laser micrometer in April 2014, its ease of use has now been further improved. The web interface now runs on HTML5 instead of Java. For users, this means improved stability and reliability. The optoCONTROL 2520 compact laser micrometer with integrated controller stands out due to its high precision, 46mm measuring range and a maximum transmitter/receiver distance of up to 2m. The unique web browser interface for configuration and set up does not require the installation of any additional software. The optoCONTROL 2520 now runs on HTML5. The cross-device sensor operates reliably which enables the user to run it from a smartphone. A measurement chart displays limit values. In addition, the system provides various averaging and filter methods, as well as statistics features. Up to 8 segments can be measured and output simultaneously. The user can switch the display from Metric (mm) to Imperial (inch) measurement units. 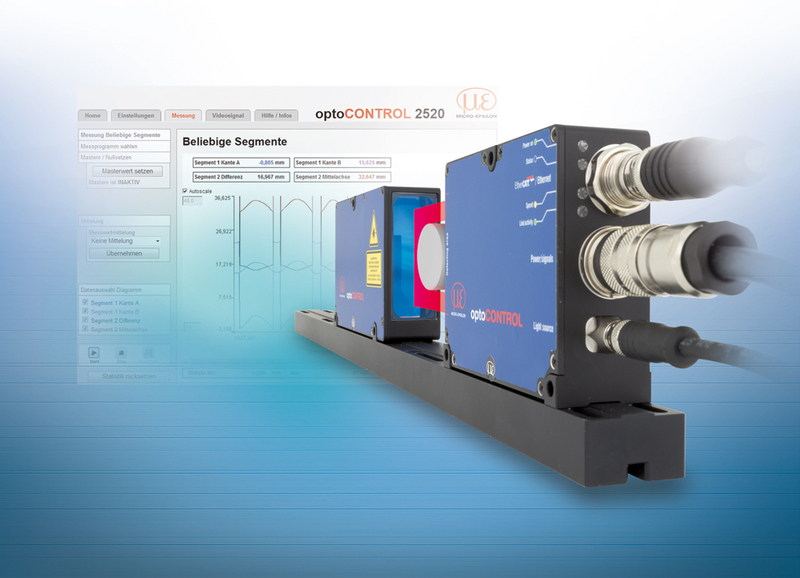 The optoCONTROL 2520 is used for counting and measurement of IC pins and gaps. The smallest object diameter detectable is 0.5mm. Data output is performed via RS422, Ethernet or EtherCAT interfaces. A video signal diagram is used for easy alignment and set up of measurements.